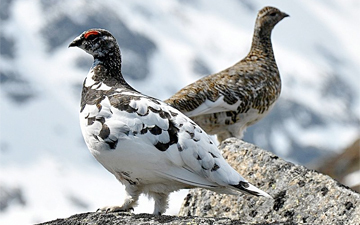 The Rock Ptarmigan is a resident of mountainous regions. It lives above the tree line and eats insects and berries on the treeless plains. 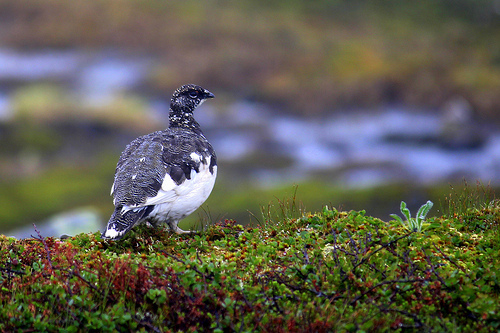 The Rock Ptarmigan is greyer and has a slender beak.